On the 31st of October, 2007 I decided to go cold-tofurkey vegan. I didn't go on a 'hunt' or anything to find veganism. It found me! On my quest to be at peace with food and myself I picked up two books in the space of a few weeks of each other. Unbeknownst to me, they both were promoting a plant-based diet and vegan lifestyle! This was at the same time as I was taking part in a Health & Nutrition course run by the Seventh-Day Adventists who promote the health benefits of being vegetarian (I didn't know this at the time!). Now I must be honest with you.... I wasn't exactly 'fat' and trying to lose weight! But none the less, books with titles like that always appeal to me! In fact, when I went vegan I gained weight! I found the food fun and exciting. I have always loved cooking and experimenting in the kitchen & suddenly I had a whole new way of using my kitchen and that meant lots of experiments & lots of new food to try. I then managed to accumulate quite a large pile of vegan & vegetarian cookbooks as I seeked to work out what I could eat that wasn't just 'veggies' - as is often what people think vegans consume! I spent about the next 6 months cooking meals that were always from cookbooks as I learnt my way around serving vegan meals. Here's my collection of cookbooks and health books! And the pile in the kitchen as well! Now a days I make my own meals....and blog them!! I love to find flavours that work well together, I love knowing that vegan meals aren't boring and don't have to be complicated to make! And I love making treats that are vegan and sharing just how tasty vegan food can be when we have guests over. For me, being vegan isn't just about what's on my plate and making sure that I'm consuming healthy food. Its about so much more. I also believe its very spiritual. If you wish to read more about where I stand on this issue you can read my blog post Veganism & Christianity. I love living a life of compassion knowing that I am doing the best I can to not harm animals. I know that as humans its never completely possible to avoid all animals products, but I know that the little bits I do can make a difference! I have recently ditched all chemical cleaners, not only because of the health benefits it provides me and my family but also because I know that no animals are harmed or tested when I buy 'vinegar' from the shelves instead of some chemical cleaner! You can read about my switch in detail here --> chemical-free-cleaning. 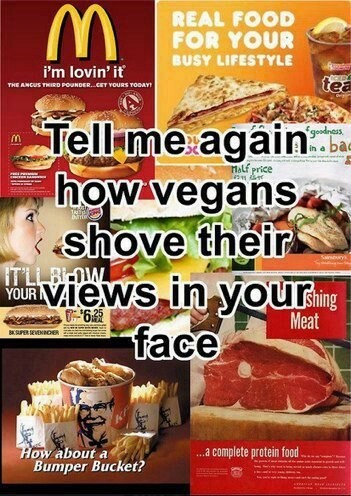 I don't consider myself to be a 'pushy' vegan. I don't go around criticising people who consume animal products, nor do I insist that when people come to our home they must eat only vegan food. And just as I respect the fact that people have their choice, I do expect people to respect the fact that I am vegan and have chosen this as my lifestyle and its not just a 'phase' I am going through! I am committed to this FOR LIFE! I'm not one to bring up the subject of veganism, but if someone asks me about a vegan lifestyle then I'm going to be the one to tell the truth.... unashamedly! I believe everyone has the right to know the truth! Having said that, I believe that there is a lot of ignorance in the word about a vegan lifestyle. 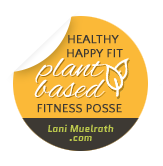 I sincerely believe that people don't understand that eating a plant-based diet WILL improve your health and is completely nutritious! It breaks my heart to think that SOOOO many people don't know what is truly 'healthy food'. People just DON'T KNOW, so of course they believe what they hear! Its quite sad to think that our whole food system is controlled by the meat & dairy industry & people live in fear of giving those products up! The dietary education that is provided to us as children & even to doctors is just useless. Our system is drug orientated and is aimed at curing disease instead of preventing it! And when study after study continues to prove that meat & dairy are actually harmful to humans, people push it aside -- scared of what it might mean to have to give them up. Contrary to popular belief - vegan food is not boring or plain! For many years I have also been very keen on caring for our environment. In Year 1 at school we watched a documentary about the environment. I can't even remember what it was called but I remember the turtle "Hyronimus" being killed and it was due to the damage that was occuring in our water system. It DEVASTATED me. I raced home to convert my family into recycling more & not wasting so much water. To this day I remind my family about "Hyronimus" each time they are doing things that are not environmentally friendly. As a mother, I even used cloth nappies til my daughter was toilet trained!!!! So when discovering that consuming a plant-based diet was far more environmentally friendly, it was just another reason to add to my growing list of why I needed to be vegan! 1 cup of coffee needs 140 litres of water. 1 kg maize needs 900 litres of water. 1 litre of milk needs 1,000 litres of water. 1 kg of wheat needs 1,350 litres of water. 1 kg of rice needs 3,000 litres of water. 1kg of beef needs 22,000 litres of water. Its not only water that is affected by the food choices people make. A UN report has estimated that 7.8 billion tons of carbon dioxide *EACH YEAR* is made from raising animals just for food consumption. That is more than all forms of transport combined. Yet as a general rule, people continue to be more concerned with their car emissions than the emissions from the meals they consume! Nature is beautiful - that's why I choose to eat like I care about it! None of the vegans I personally know are that. But they are just everyday people doing what they can to make a difference in the world. So if you aren't personally vegan - next time you hear the words "soy", "tofu" or "vegan" don't think we are trying to convert you just by saying those words --> remember that nearly everyday we hear the words "meat", "eggs", "cheese" and have to move on! Yes, there are some 'vegan police' in the world! But they are few and far between. 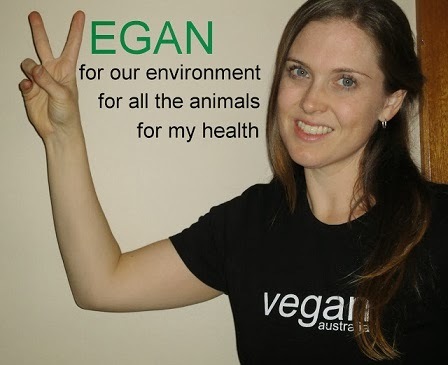 Most vegans are genuine people with real compassion, for people and animals alike! Where do you stand on the consumption scale? Do you remember the exact day you went vegan? Thank you for sharing so much of yourself and your journey with us! Loooove your blog!!! Cold turkey is definitely the way to go ;) So did we and we have not looked back!!! Thanks for a great okara brownie recipe. My kids love them! Just found your blog, I love it! 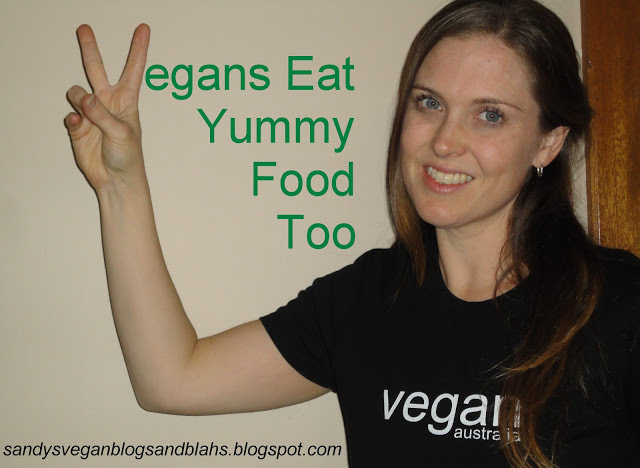 I tried going vegan cold-turkey in November 2013, but slipped up not long after. I am currently vegetarian struggling to give up dairy which makes up some of my favorite foods but is also part of convenience foods. I am getting better and I am hoping that very soon I will be there, but I won't beat myself up over a slip up here and there. Thank you for being another inspiration though! It is hard to transition when you are the only one in your family doing this. Good on you for doing what you can! It can be so hard to change when everyone around you isn't on board! I most definitely found cheese the hardest to give up! I think it is easier if you can work out some substitutes to use in place of dairy when you feel like that is what you want. [ Smiles ] I am absolutely impressed by your vegan transformation. just found your blog...I've been working on being vegan for a couple of years. At home no problem, but when we dine out or at a friends I'm tempted. It's getting easier! I want to eat WFPBNO for my health. I guess you could say I'm a work in progress! Thanks for sharing your progress, so encouraging to hear. Hope you drop by frequently - I think you may enjoy the recipes I share! [ Smiles ] Sandy, the world needs more vegans like you! Also, I want you to know that you have a lovely vegan blog; I would like to wish you all the best with it and may it influence others into following the vegan lifestyle. HI there Sandy, This is a great story about your journey to becoming a vegan. I have just found your lovely blog via Jo@STOP...have a chat, and it looks like I could be spending a quite bit of time here looking over it. I have dabbled with vegetarianism and vegan but have not taken the whole step. I have cut out dairy for the same reasons you have stated, and feel so much better. I barely eat meat these days and if I do, I like to know where it came from before consuming. I am looking forward to seeing what your recipes are like, as this is the hardest thing for me...knowing what to prepare.